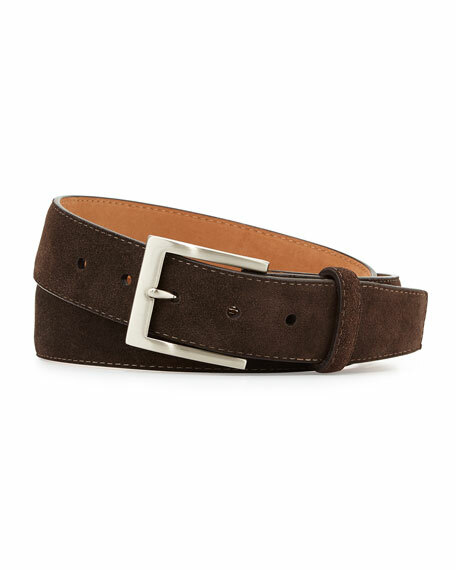 Dsquared2 belt in calf leather with studded details. Western-inspired silvertone logo buckle. Adjustable fit. Made in Italy.